When it comes to testing in Career and Technical Education (CTE) there have traditionally been only two options available, neither of which have fully met the needs of both students and educators. In Certification Testing the relationship is generally between the organization providing the certification and the student. Upon completion of the requirements, that student receives a certificate that can be very beneficial for them. The party that is left out of the relationship is the educator who is left out of the data loop. Without detailed reporting about how the student performed on the assessment, they aren’t able to improve their instruction. In Standardized Assessment Testing, the relationship is generally between a state or larger institution and the educator. In theory the state or district should receive information about student competency. In reality the data isn’t always reliable because there is very little incentive for a student to actually perform their best. When I was in high school I remember well-meaning teachers would begin these exams with a phrase like: “This doesn’t count on your final grade. Just do your best.” The best case scenario is a student really does try, but there are other versions that play out with a student making designs on their answer sheet. Because of these two traditional dynamics I’m a big believer that testing is a huge waste of time unless it provides value to both educator and student. Testing should provide the educator value through immediate feedback on how their students are doing so they know what they can work on to improve instruction and modify their curriculum. Testing should also provide value to the students. 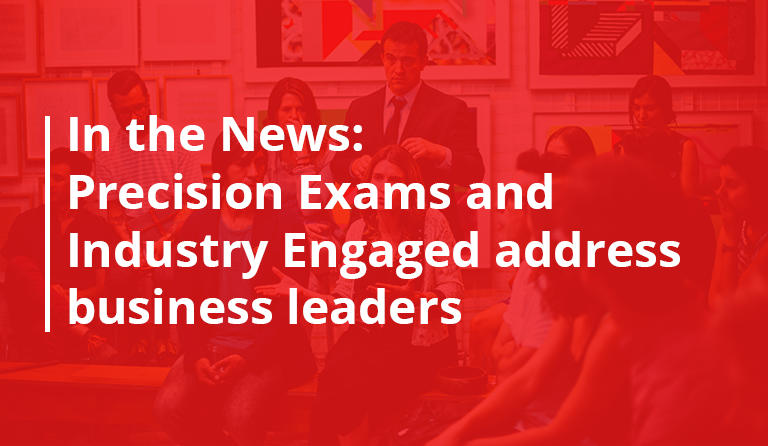 Precision Exams prides itself on bringing both types of testing together to provide value for all involved. Making teaching and learning in schools more actionable, engaging, and relevant should be a major focus of testing. For example, educators need to be able to review and adjust their curriculum based on student needs and industry feedback. If teachers are able to make timely adjustments, it ensures that more students are career ready and prepared to confidently execute necessary jobs. This also allows teachers to adjust their curriculum based on industry needs and results in opportunities for students to gain a wide range of real world experience. To help ensure the quality of such programs, Precision Exams has developed industry leading reports. These online tools allow educators from around the country to directly analyze the learning standards and how well the student performed when tested on each objectives in their CTE course. Educator experts can then integrate that feedback to improve their courses to reflect the best approach to their teaching methods. This is a huge step in better helping educators work toward refining their curriculum for the benefit of the student. Certifications require that students demonstrate that they have a high level understanding of the skills and knowledge they learned in class. This type of relationship between student and testing, brings out the best in the students because certifications hold inherent value. When a student has the opportunity to earn a certification at the end of their course, they are able to link the lessons they are being taught daily to real world applications. They begin to see that what they are learning is something they can put on their resumes for future jobs. A great example of contextual learning is how Boeing worked with the State of Utah to give students a pathway to industry. After a student receives a certification from Precision Exams, they are able to look on the back of the certificate and see the standards which they had to meet to receive their certification. This helps the student articulate the skills and knowledge they obtained in order to become certified. 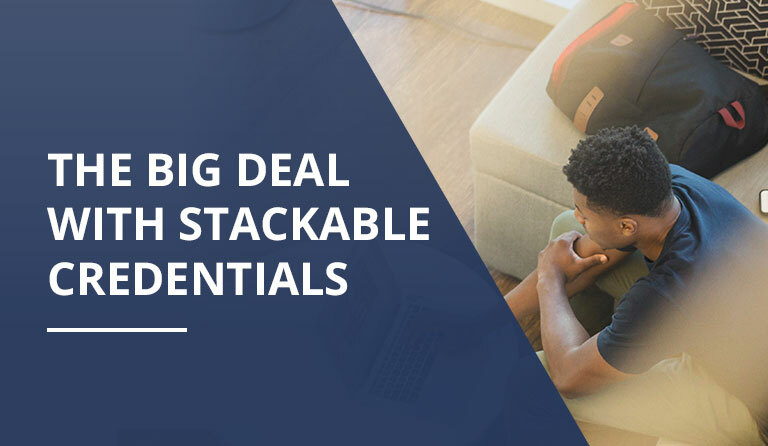 As students graduate and transition to the workforce, these certifications can help them clearly describe the duties and job responsibilities they are qualified to perform. Precision Exams is the first to truly provide the benefits of an Industry Recognized Certificate and Technical Skills Assessment, with consistent, accurate, and fair data for teachers and administrators with reports that measure student growth and timely data that can improve instruction. We work with industries to build tests and create reports to help teachers make better decisions in the classroom. Everything we do is about inspiring students to reach for a career they will love. 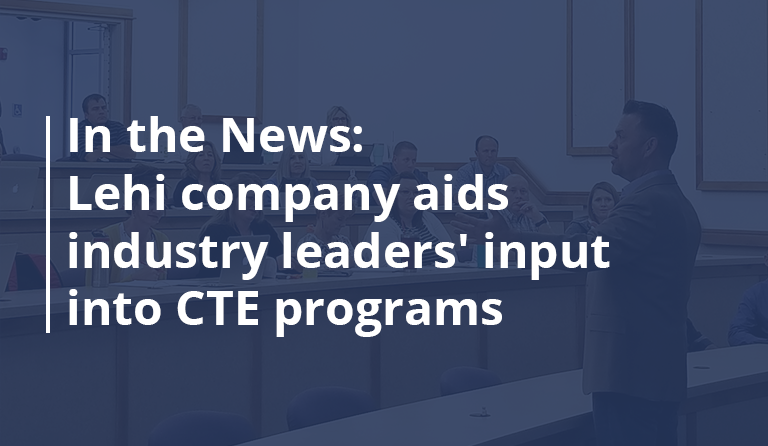 In CTE education today there is no higher value than well informed teachers who want to improve their practice and highly motivated students that want to learn the knowledge and skills necessary to move into a career of their choice.